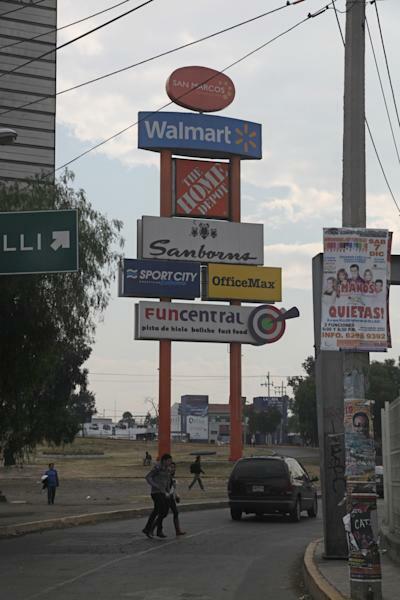 MEXICO CITY (AP) — Looking around a Mexico dotted by Starbucks, Wal-Mart and Krispy Kreme outlets, it's hard to remember the country before the North American Free Trade Agreement, which has dramatically expanded consumer choice and trade since it took effect 20 years ago on Jan. 1. 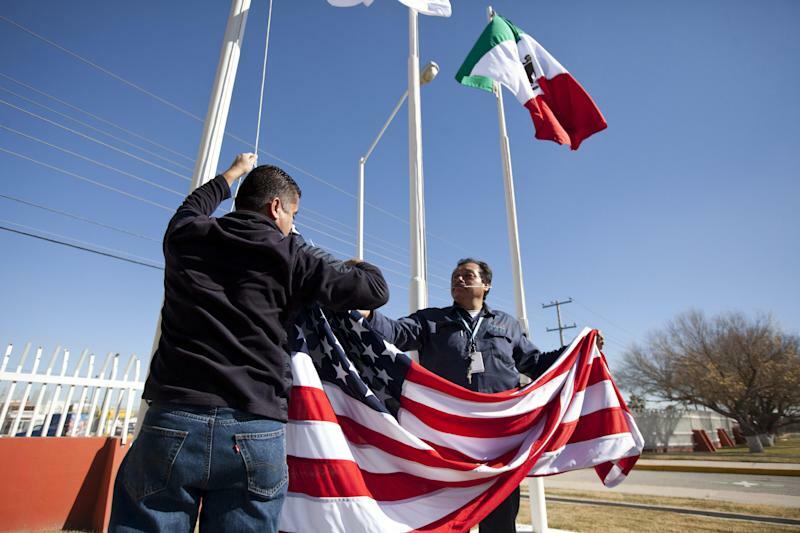 While it changed the country in some fundamental ways, the treaty never met many of its sweeping promises to close Mexico's wage gap with the United States, boost job growth, fight poverty and protect the environment. Mexico's weak unions and competition from Asia and Central America kept wages down; the tightening of security along the U.S. border closed off Mexico's immigration "escape valve," and environmental provisions in the agreement proved less powerful than those protecting investors. Mexico took advantage of the accord with the United States and Canada in some areas. The auto, electronics and agriculture sectors grew, and foreign banks moved in, increasing access to credit, but a majority of Mexicans saw little benefit in income. While there is undoubtedly a larger middle class today, Mexico is the only major Latin American country where poverty also has grown in recent years. According the Economic Commission for Latin America, poverty fell from 48.4 percent in 1990 to 27.9 percent in 2013 for all of Latin America. In Mexico, where it stood at 52.4 percent in 1994, the poverty rate dropped to as low as 42.7 percent in 2006; but by 2012, it had risen again to 51.3 percent. "About 30 or 40 percent of what they promised (in the trade pact) never came through," said Rodolfo Hurtado Corona, 65, a chauffeur waiting for his boss on a Mexico City street. Still, motioning to the gleaming sport utility vehicle he drives for his boss, he noted that "before, there were only a couple of brands, now you can choose among many." Economist Alfredo Coutino, director for Latin America at Moody's Analytics, says "the benefits arrived, but perhaps not of the magnitude that had been hoped for." He notes that "if this agreement had not been signed, Mexico would have been in a much worse situation than it has been over the last 20 years." Before NAFTA, Mexico was a closed, state-dominated economy reeling from debt and the underlying problems of Mexican farms — low productivity on small plots. That had set up a perfect storm of mass unemployment. The trade accord, globalization and foreign investment did help create jobs, albeit low-paid ones. At supermarkets, shoppers are now familiar with everything from cranberries to chai and lemons (as opposed to the Mexican lime) that few had tasted before the treaty tore down trade barriers and tariffs between Mexico, Canada and the United States. 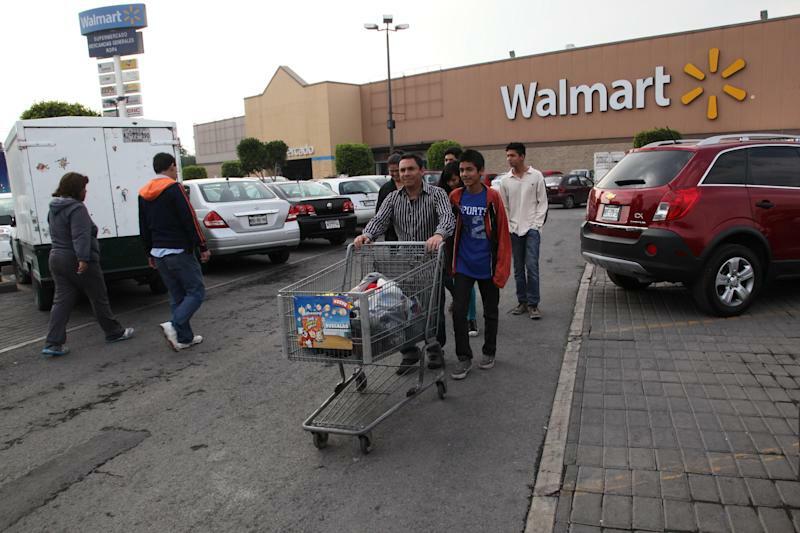 Consumer goods and clothing that were trendy among Mexico's wealthy are now available to everyone, with more products and choice, especially among electronics appliances and cars. Coutino recalls that "before, in Mexico, it was a question of social status to have a pair of imported sneakers, they were very expensive ... now the majority of Mexicans can have these things that were once considered luxuries." Mexicans remain ambivalent: A recent Universal newspaper/Buendia-Laredo poll showed that while about half would approve the trade pact if it was proposed again today, about 34 percent would reject it. The rest had no opinion. The margin of error was 3.5 percent. There is no turning back. The three North American countries are pushing to become even more economically integrated. With Mexico's newly passed energy reform allowing private investment in the county's oil sector, they aim to make the continent energy independent as well. NAFTA is almost forgotten in the latest controversial free-trade effort, the Trans-Pacific Partnership, a negotiation among 12 countries, including NAFTA's three, to open trade between Asia and the Americas. Opposition to the TPP is reminiscent of the dire predictions when NAFTA was being negotiated in the early 1990s. At the time, NAFTA opponents predicted millions of U.S. jobs would move south, and labor and farm groups forecast a mass exodus from the Mexican countryside. But as a 2010 Congressional Research Service report said, "Most studies after NAFTA have found that the effects on the Mexican economy tended to be modest at most." On the plus side, trade between the three countries vastly increased, to about 3.5 times the 1994 levels, though U.S. trade with China and other Asian nations has grown even faster in the last two decades. More foreign automakers have set up plants in Mexico, which now produces about 3 million vehicles per year. Mexico has increased auto-sector jobs by around 50 percent since 1994. But Mexico's auto jobs are notoriously low-paying, and little progress has been made in closing the wage gap with the U.S. Average manufacturing industry wages in Mexico were about 15 percent of U.S. wages in 1997. By 2012 that figure had risen only to 18 percent. In some sectors, China's wages have actually outstripped Mexico's. Nor has NAFTA kept all promises made on environmental front. The North American Development Bank, part of the side agreements to the accord, has spent over $1.33 billion to finance border projects for drinking water, waste water and sewage treatment. But untreated sewage continues to flow and air quality remains low in many border communities. U.S. exports of spent lead-acid car batteries to Mexico spiked 500 percent between 2004 and 2011. Authorities are only now beginning to consider certification requirements for companies that export batteries for processing to recover the lead. NAFTA has done a very good job of protecting foreign investors, however. The trade pact set up binding arbitration panels, where investors can bypass the courts with complaints that government regulation unfairly affects their businesses. The complaints are often against natural resource management or environmental rules. Mexico and Canada have paid out about $350 million in damages to foreign investors, while the United States hasn't paid any. "The (arbitration) process is not like the domestic court system, it's not fair and open," said Scott Sinclair of the Canadian Centre for Policy Alternatives. The U.S. government is pushing to include the same system in the TPP. And agricultural openings, as in NAFTA, are proving controversial; in developing countries, farms are culturally sensitive, big employers and often are the first to suffer in trade pacts. "They have left us at a disadvantage," said Josefina Rosas, a corn farmer who is trying to introduce better farming techniques to lower the use of costly fertilizers and store-bought hybrid seeds in the Pacific coast town of Azoyu, Guerrero. Still, with all her efforts small farmers often don't make back the costs of planting. "We don't have the conditions to compete," Rosas says.